LED ceiling panels are an ideal replacement for the old/traditional grid based fluorescent luminaries. They have become increasingly popular because they offer a uniform and extremely harmonious lighting environment that can’t be offered by conventional lamps. Your typical LED Ceiling panel is made using super bright LED light sources enabling consistent high quality lamp life with no IR or UV emissions. 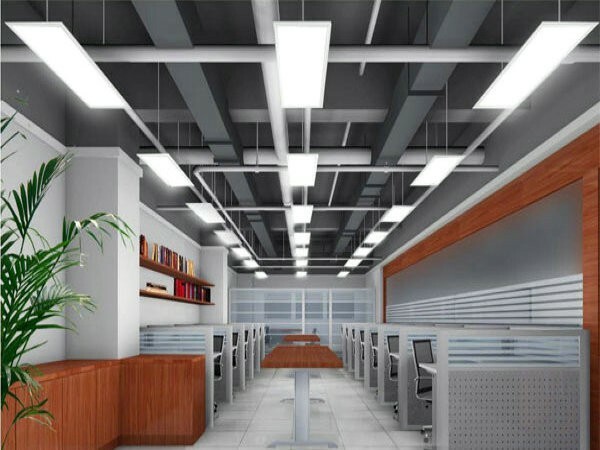 LED ceiling panels are also popular because they are powered by low voltage current drivers. This makes them safe as well as energy efficient. The fact that the current driver is constant also helps to make the lamp long lasting. The most common places you are likely to find the ceiling panels include; hospitals, schools, hallways and lobbies, meeting rooms, restaurants and offices. Installation of led panel lights is an annoying job for many people, so we decided to walk you through the installation process quickly. LED ceiling lights could be installed in four ways – built in, recessed, mounted or suspended. Built in and recessed installation offers a modern and sleeker look, albeit the latter provides more subdued lighting. Mounted LED lights typically highlight the style of the fixture, while suspended installation is required for chandeliers and pendant lights. First step (most crucial) many of you may not be aware of the LED technology so please go through the user manual before proceeding to install the panel lights. This is to understand the different components used in the device, which helps in the later stages of installation. You need to handle them carefully because they are delicate in nature. Now the second step is locating a suitable place for mounting the led panel lights. The best place to mount is an area which is closer to the power socket, which in turn reduces the length of the wire. Then take a note of the dimensions of the panel so that you can drill holes where-ever required to mount the led panel. 2. Use screws to fix the four hanging cables onto the roof. Make sure that the 4 steel cables are adjusted so that the LED panel is horizontally aligned. 3. Screw the two clips using M4x8 screws. 3. Recess the LED panel light into the grid. (And, in case of falling down, we recommend that you use screws to fix the four hanging cables onto the roof, as suspending shows above). 1. Screw the brackets onto the panel in right position by 4 pieces of M4x8 countersunk head screws, and make sure they’re tight. 2. Drill a D6mm hole in the ceiling in accordance with the size of the bracket, then put the bulge plug in. And finally, use the 4×30 countersunk head tapping screws to fasten the panel into the holes. 2. Screw the other side of clip onto panel light through ring. 3. And recess the panel into the hole in the ceiling.